End of the Month – Where’s Reyes? The calendar says we are heading into the last week of July, which could technically be described as the “end of the month”. To refresh everyone’s memory, it was July 16th when Omar Minaya suggested that Jose Reyes might be back at the end of the month. In turn, we suggested that Minaya would make such a proclamation for no reason other than to stimulate ticket sales. But in fact, that silly conspiracy theory has been proven wrong, because Reyes IS back — he’s been playing in simulated games in Florida since July 21st! Apparently, we misconstrued the definition of “return”. I, for one, thought it meant a “return to Queens”, as in, a “return to play for the Mets”. But in fact it meant “return to Port St. Lucie” — which is where Reyes enjoyed spring training. And in John Maine’s case, it meant a “return to the doctor”, because Maine is in fact getting another opinion regarding his injured shoulder. Maine said he believes he will only miss one start, maybe two, and he will begin a strengthening program in the next day or so. Perhaps getting advice from Carlos Beltran, Maine chose to go over the heads of the Mets’ medical staff and front office, and schedule his own appointment with Dr. James Andrews. Usually, pitchers see Dr. Andrews when things are really, really bad. That said, it’s probably safe to write off Maine for the remainder of the season. Thankfully, Oliver Perez is 100%. By now you’ve read or heard about Jon Heyman’s SI column reporting that the Mets turned down a Blue Jays trade proposal for Roy Halladay. Toronto’s request of the Mets for star pitcher Roy Halladay was for top outfield prospect Fernando Martinez, young pitchers Bobby Parnell and Jon Niese and shortstop prospect Ruben Tejada, sources tell SI.com. The Mets responded with a resounding no. OK, someone here is on crack, and I want to know who. The authorities need to be informed and someone needs to go to jail, because drugs are bad, and hurt everyone. Either it’s Heyman, for not getting the facts straight, JP Ricciardi, for making such a light proposal, or Omar Minaya, for not pulling the trigger. Because seriously, the Mets wouldn’t want to trade four youngsters with less than a half season of MLB experience combined in return for the best pitcher in MLB? They wouldn’t want to pair the best pitcher in MLB with the second-best pitcher in MLB (take your pick on who’s who), and have the most dominating 1-2 duo since Curt Schilling / Randy Johnson? (Some would argue that Halladay / Santana would be more dominating.) Really? For the crack smokers out there who are emotionally tied to F-Mart, Niese, Parnell, and a 17-year-old you likely wouldn’t know if he was sitting on your living room couch, may I remind you of David West, Alex Ochoa, Alex Escobar, Ambiorix Concepcion, Butch Huskey, Keith Miller, Ryan Thompson, Brook Fordyce, Damon Buford, Billy Beane, Terry Blocker, Chris Donnels, DJ Dozier, Bill Latham, Wally Whitehurst, Floyd Youmans, and Herm Winningham — for example. Not to mention Mike Vail, Gregg Jefferies, Jason Phillips, Calvin Schiraldi, and others who may have had brief stints of success but never quite lived up to the hype. Yes, every once in a while the Mets give away a gem like Scott Kazmir, Jason Bay, or Nolan Ryan, but those were deals for nobodies. Roy Halladay is the best pitcher in baseball, bar none. He’s not Victor Zambrano, Jason Middlebrook, or Jim Fregosi. There is the argument that the Mets’ system is already void of prospects, and can’t bare to lose any more. But where was that whine the past four winters, when the Mets were gobbling up Type A free agents and in turn losing #1 draft picks? And do you really believe that Martinez, Parnell, Niese, and Tejada are going to make a significant impact on the team in 2010 and 2011 — the type of impact that will put them in the Fall Classic? Further, if the Mets did about five minutes of negotiating, they’d likely also net Alex Rios or Vernon Wells — two outfielders with enormous contracts that a New York team like the Mets should be able to handle (Rios, with the cheaper contract, is the obvious preference). Again, start crying that the Mets can’t afford to take on any more big contracts, or that Rios and Wells stink. Now tell me who is playing left field next season? Nick Evans? Who’s playing center in 2012, when Carlos Beltran will have jettisoned for a warmer, calmer climate? Not Fernando Martinez, nor anyone else in the Mets’ farm system. The Mets have nothing in the way of outfield prospects coming up between now and 2014, so guess how the holes will be filled? Free agency. Possibly Type A — i.e., Matt Holliday, Carl Crawford, Jason Bay, Magglio Ordonez, Vladimir Guerrero, Rick Ankiel, Jermaine Dye, Manny Ramirez. Heck, Xavier Nady may qualify as Type A. And there goes another draft pick. And most likely, an expensive, too-long-term contract. So either way the farm system gets kicked in the groin, and the budget gets expanded. Further, I don’t know that any of those free agents are guaranteed to significantly outperform Rios or Wells over the next five years. If we knew for sure that the Mets were going to throw in the towel on 2009 and 2010, and focus on building from within, then maybe you refrain from trading those four suspects. But Omar Minaya has three more years beyond this one, and his modus operandi is to pay exhorbitantly for upper tier, well-known players, for the purpose of “putting a winning product on the field” in the short-term. A Halladay trade like the one proposed is as much a no-brainer as the Santana deal was (I’m sorry, do you wish you had Phil Humber, Kevin Mulvey, Carlos Gomez, and Deolis Guerra right now, instead?). Of course, the rumor has already been shot down by a number of sources, so we may never find out who was smoking crack yesterday. Maybe all three were passing the pipe around together. Conspiracy Theory: the Mets “leaked” this “trade offer” — even if it never occurred — as a means of making those four prospects appear more valuable than they really are. Think about it — it makes the Mets look good, in that a) their farm system has plenty of worthwhile trading chips, and b) it tells their fans that they’re committed to the future, and won’t give away their top prospects — not even for Roy Halladay. In any case, it appears that the Mets’ prospect list isn’t as thin as some suggest, as even in that proposal they’d be keeping top young pitchers Jenrry Mejia and Brad Holt and shortstop prodigy Wilmer Flores. Derek Jeter has one. The WWE has one (hey, he looks like Jayson Werth, too). Do the Mets? 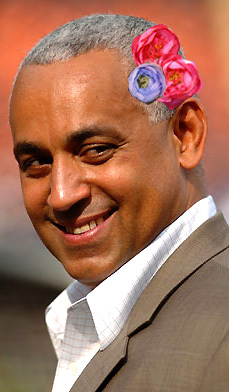 Omar Minaya says no. Then he says yes. Jerry Manuel said yes, but that was immediately after beating Chan Ho Park. Would they still have an “edge” if a healthy Cole Hamels was on the mound instead? Indeed, before Gary Sheffield came on board, you didn’t have “that type of guy”. Minaya describes Wright and Reyes perfectly, and there’s nothing wrong with them not having a mean streak. Same with Carlos Beltran — would you ever expect Beltran to barrel over a catcher? How about Carlos Delgado? He’s a large man who can look fierce but is an obvious pussycat. Brian Schneider seems like a really nice guy, too. Ramon Castro has a better chance of neutralizing an opponent with a funny joke than his fists. No one fears Luis Castillo. And Danny Murphy may look “serious”, but I doubt any middle infielders are worried about him sliding in with his spikes high. The pitching staff is similarly cordial. Johan Santana is spectacular but isn’t going to dust anyone. Neither will Mike Pelfrey, Oliver Perez, or Livan Hernandez. John Maine and J.J. Putz look like they might, but I haven’t seen it yet. K-Rod? His stuff is intimidating, his demeanor isn’t. The rest of the staff seems like a bunch of guys you’d hope to have on the opposing side of a brawl. This Mets team is devoid of nasty, clawing, scratching, throw-the-gloves-down competitors that marked, for example, the ’86 Champions. No Ray Knights, Lenny Dykstras, Wally Backmans, or Kevin Mitchells here — just a bunch of Rafael Santanas. Good players, some great players, but gentlemen all. At this blog, I’ve been pining for a “gamer” since a month after the Mets blew the 2006 NLCS. I wasn’t asking to overhaul the roster — rather, just suggesting that the Mets pick up a couple scratchers and clawers. Guys such as Mark Loretta, David Eckstein, Craig Counsell, Mark DeRosa, Frank Catalanotto, Darin Erstad, Kevin Millar, Jim Edmonds. They’re out there, they’re not superstars and they’re generally not overly expensive. 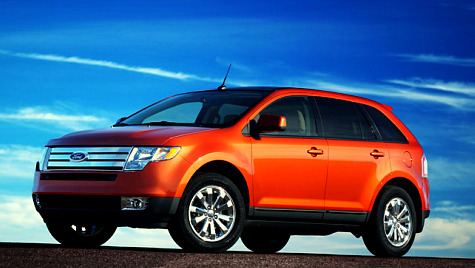 You don’t necessarily have to “break up the core”, as some have suggested. You merely need to add a few more spicy ingredients to the mix — Gary Sheffield was a start. You have to not worry about “disrupting the clubhouse”, or bringing someone in who “might not fit”. Quite the contrary — get someone in here who WILL shake things up, who might turn things upside down. Bring in a guy who might upset other members of the team — though for the right reasons. For example, you don’t bring in a perennial loser and selfish personality such as Milton Bradley, but you DO bring in another guy like Sheffield or Keith Hernandez or Ray Knight — a proven winner who will not be afraid to privately call out teammates, or challenge them, if they have a less-than-intense attitude or slack off. After three years of the same old, same old, it’s time to inject something new. Going with the same overall team attitude that choked three years running and hoping things will work out is simply madness. This morning on XM 175 MLB Home Plate, former Mets and Orioles GM Jim Duquette confirmed that John Maine was a throw-in when the Mets sent Kris Benson to Baltimore for Jorge Julio. This may not be huge news, and many of you may have suspected as much, but at least a few people (including myself) have lauded Omar Minaya for his ability to spot a golden nugget in Maine in his fleecing of the Orioles. However, Duquette described the trade this morning quite differently. He said that when he first took the job at Baltimore, members of the Orioles organization saw Maine as a #5 starter, or a “swing man” (someone who would likely be a long man out of the bullpen and spot starter). According to Duquette, the Orioles felt supported in this analysis when the Indians refused to take Maine in a proposed trade. As a result, the O’s had been looking to trade Maine quickly, while he still might have value to another MLB club. When Duquette and Minaya began talks, Minaya was desperate to unload Benson mostly as a salary dump (the team needed to clear payroll after acquiring Carlos Delgado and Billy Wagner) and partially because of Anna Benson’s outfit at the annual Christmas party. According to Duquette, Minaya liked Jorge Julio’s power arm, and asked for Adam Loewen as well — who at the time was the #2 prospect in the organization. Duquette obviously rejected that request, and Minaya said he “needed a throw-in” to complete the deal. Since the Orioles had been trying to trade Maine earlier, Duquette suggested him as the “throw in”, and the rest is history. Now, this could be Duquette’s way of covering his arse — after all, he was also the person publicly responsible for the trade of Scott Kazmir to the Devil Rays. But, the story does make sense when you look back on it. In another interesting tidbit, Duquette said that the Mets used to give their old uniforms to the Hyannis Mets, which is a Cape Cod League team, to help Hyannis defray some of their costs. As a thank-you, Hyannis would send a dozen lobsters down to Flushing. Isn’t that an ironic twist, considering that MLB recently put the hammer down on amateur organizations using MLB logos and team names, and specifically went after the Cape Cod League? So one must wonder if the Mets will still “sell” their old uniforms for the market price of New England lobsters, or if Hyannis will be forced to buy the unis from a licensed vendor? No More Moves for Mets? A few days ago, Mets GM Omar Minaya announced there would not be any more “big” moves by the Mets this offseason. Like you, I’ve been waiting for either a retraction of this statement, or clarification. For example, by “moves”, does Omar mean the team won’t be moving out of Citi Field? I can understand that, since moving from Shea Stadium to Citi Field — even though it was only across the parking lot — must have been quite an endeavor. It would be silly to move again before Opening Day. Or does he mean the AAA team won’t be moving again? They’ve already made the trek from New Orleans, LA to Buffalo, NY — that’s a much more drastic relocation than the parent club’s move. Or can Minaya possibly be referring to “player moves”, a.k.a. “transactions” ? Certainly, I can see that the Mets are done moving their own players, as there don’t appear to be any left on the roster that they’d want to swap, that another team would also be interested in. But does he also mean that they won’t be moving any “major” players “in” — as MLB.com suggests? Surely, Omar can’t possibly mean that. As I look at the current 40-man roster, and the projected 25-man roster and depth chart, I’m not seeing a whole lot different from the teams that disappointed us (i.e., broke our hearts) in 2007 and 2008. For example, the starting infield and outfield is exactly the same, and the same two catchers return. The starting rotation is the same as well — Johan Santana, Mike Pelfrey, John Maine, Oliver Perez, and a host of question marks for the fifth spot. The bullpen definitely has new faces, with K-Rod replacing Billy Wagner, and J.J. Putz becoming the first real setup man the Mets have had since the Armando Benitez / John Franco days. So the eighth and ninth frames are covered, but innings five through seven will remain a chaotic mix of “matchups”. Nowhere do I see the name “Manny Ramirez”, “Orlando Hudson”, “Juan Cruz”, or “Adam Dunn”, or any of a number of other free agents who could make a significant impact on the team’s success. Heck, I’m not even seeing “minor” additions such as Chad Cordero, Joe Beimel, Jason Isringhausen, Pudge Rodriguez, Ray Durham, Nomar Garciaparra, Bobby Abreu, or Ken Griffey. Yes, those last two names are lefthanded hitters, and the Mets lineup is already “lefty heavy”, but you tell me, who would you rather have in left field against a lefty pitcher — Fernando Tatis or Bobby Abreu? I love Tatis, but take away his torrid July and his 2008 stats are exactly in line with his career numbers — essentially, a .260 hitter with limited power who strikes out a lot. In contrast, Abreu hit .315 with an .865 OBP last year against lefthanders; that’s better than what Tatis did against everyone, and including his hot streak. And say what you want about Junior Griffey being “done” — given the choice, I’ll take my chances on Junior making a comeback over Tatis reproducing through a full season, what he did over a four-week period — or banking on Daniel Murphy doing through 550 at-bats what he did in his first 100 (note: Murphy hit .245 over the last 28 days and 59 plate appearances of the season). Is the team really “better” because Aaron Heilman, Scott Schoeneweis, Pedro Martinez, Moises Alou, Endy Chavez, Damion Easley, Luis Ayala, and Argenis Reyes are gone? This would go with Jeff Wilpon’s early offseason quote that the team would improve by means of “addition through subtraction”. I’m not buying it. I honestly don’t see how the dozen or so minor subtractions make the Mets an improved team. The only difference I see is J.J. Putz handling the eighth. Everything else is essentially the same, which means that Tatis and Murphy have to play well over their heads again, Carlos Delgado has to put the team on his back and carry it again, None of the “core” players (Delgado, Wright, Reyes, Beltran) can suffer an injury, and the top three starters — Santana, Pelfrey, and Perez — will have to make all their starts and perform at least as well as last year. All that has to happen in order for the Mets to finish in second again. 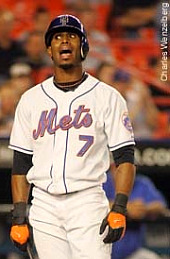 Can anyone else guess where the Mets might have wound up in 2008, had Santana not been on the club? Does fourth place sound about right? Or perhaps fifth? Minaya was lying then, and hopefully, is lying now. For the Mets to contend in 2009 with the current roster, will require an enormous amount of luck. With the free-agent market as depressed as it is, and rock-bottom values to be had at every corner, it makes little sense to hand the season to Lady Luck. The Mets don’t necessarily have to sign Manny, but they need to spend a few dollars to push them back into the postseason conversation. Assuming that Francisco Rodriguez passes his physical, he will be signing a contract with the New York Mets either today or tomorrow. Jon Heyman says that Omar Minaya will meet with Francisco Rodriguez and his agent Paul Kinzer tonight (Sunday) in Las Vegas. So far, no one can confirm a sighting, but my guess is they are behind closed doors in Omar’s suite at the Bellagio. Supposedly, the Mets will offer something in the neighborhood of 3 years / $36M. That sounds fair, but if true, K-Rod may as well return to the Angels for the 3/34 he rejected. After all, he’s comfortable in Anaheim (as well as Los Angeles) and the Angels are a slam-dunk to win the AL West yet again. Many pundits claim Rodriguez can handle the pressure of big games but I’m not convinced he’s New York, big-stage, all-eyes-on-you material. Hmm … if K-Rod takes the offer, then he’s the guy, huh? What a scoop! I thought for sure the Mets would then go for Hoffman and make Rodriguez the setup man. New York Times columnist Allen Schwartz suggested that the beloved bullpen crew of Scott Schoeneweis, Aaron Heilman, Duaner Sanchez, Pedro Feliciano, et al, could very well return intact for next season — and has quotes from Omar Minaya to support the theory. Justified as these fans may be in wanting a completely rebuilt bullpen, they should not hold their breath, or at least as much as they did during the playoff race. Early signs indicate that the Mets’ relief corps could resemble last year’s more than any sadist would recommend. As I’ve hinted earlier this offseason, it’s my belief that the Mets’ bullpen woes had as much to do with the managers as with the personnel — if not more so. That said, I can’t completely disagree with the idea of bringing back the same group of relievers. However, the manager better read my Bullpen Blueprint (assuming it’s finished before next April). Sounds to me like Minaya isn’t as desperate to replace the middle relievers as some fans. Though, I’m sure at least a few new arms will be brought in by February.